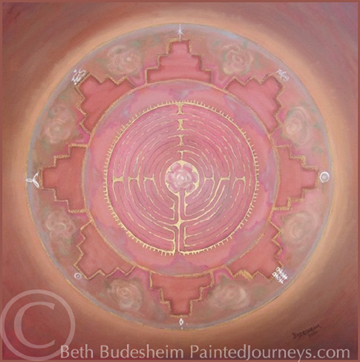 Goddess Energy Portraits™, Personal Healing Mandalas™, Intuitive painting commissions. 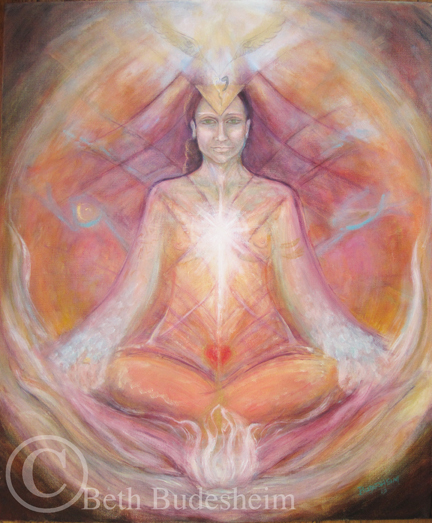 These transdimensional energy portraits, facilitate connection with your Self, with your own Essence, divine spirit and personal energy. Transpersonal connection with your higher Self. Energy medicine. Healing art. Open your awareness of and connection with your own true Essence, your Self, Divine Spirit and inner resources. 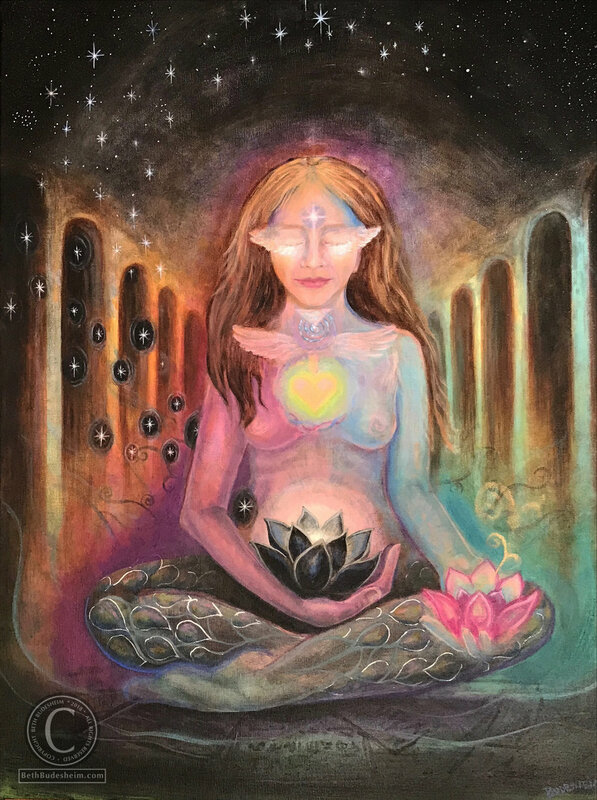 An intuitive painting commission is more than just a painting, it is an experience, and a personal beacon to your sacred Self and spiritual connection. You have a unique inner landscape, that when connected with, is deep and enriching, nourishing and illuminating in a way that supports your external life. 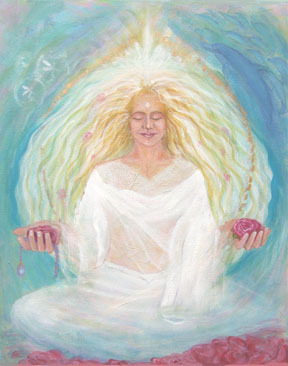 Many years ago, as I was documenting my own personal visions of the energy realm within and around me, I came to realize that I could 'see' for others too, and the intuitive Goddess Energy Portraits™ were birthed. 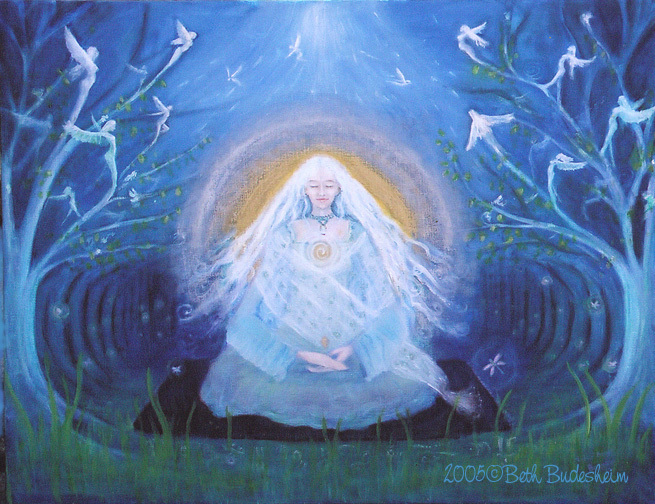 I began painting for others the energy of their unique soul and essence, as a way for them to feel, know and connect with their divine Spirit. Since 2004, I have had the honor of painting these energy portraits for women of all shapes, sizes and ages. At the time, 'aura drawings' were common, but no one else was doing what I was. This is my unique creation, gift and skill that I am honored to be able to provide. I haven't had the chance yet, but I can also create these for men, as a "Soul or Divine Masculine Energy Portrait". In recent years, I have also developed other commission styles to accommodate client's needs and preferences, The Personal Power Symbols™ and Personal Healing Mandalas™. These are wonderful if you prefer a more abstract symbolic painting, or one that assists you with a specific issue or quality that you'd like to more deeply cultivate and integrate. INITIAL CONSULTATION: To begin, we’ll discuss the nitty gritty of your painting commission: any questions you have, cost, size, payment plans, and the process. I will also ask you to email a few photos of yourself that I’ll print off and tape to my easel when I’m working on your painting. 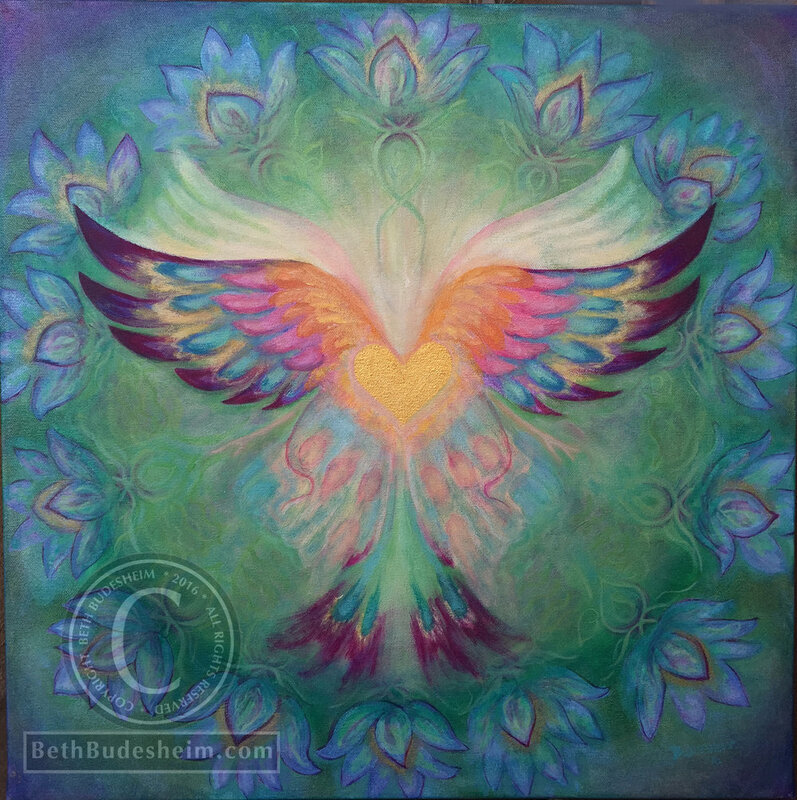 INTUITIVE SESSIONS: Each time I sit at the canvas, I am connecting with you and intentionally asking to receive what is meant for you and that it be of benefit. Over the years, the painting commissions have evolved into a process that also includes one or two sessions by phone or email. 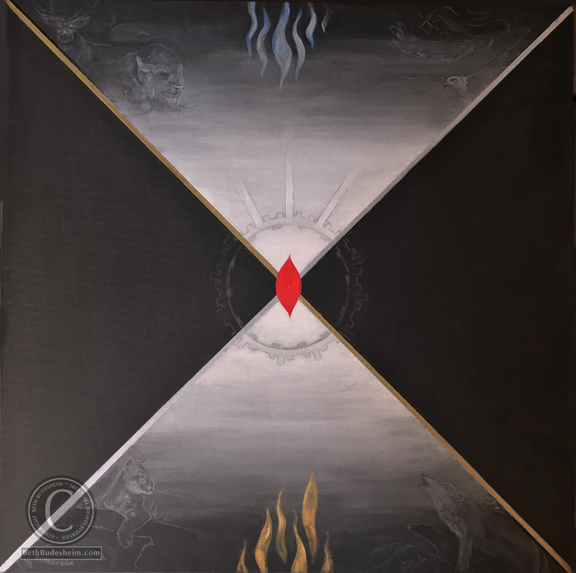 These sessions (which vary depending on the type of commission) allow us to connect more personally, and contribute imagery, symbols and information for your painting commission, as well as assist you in embodying the experience more fully. Once your painting is complete and dry, it will be packaged securely and mailed with insurance and a tracking number. Shipping within the USA is included in the cost. I’m happy to ship outside the USA as well, if you cover shipping costs. Each painting will support each individual in a unique way. One client's insomnia left once she hung her painting above her bed. Another finds that as she works with her clients, she'll gaze at her painting and information will come through to her, facillitating her work. I trust this process and know your painting will have gifts for you too. Contact me to discuss a painting commission for you or a loved one. PHONE: 505-796-4033 or Email me using the contact form HERE.